Is it the days at the pool? Sunset at 8:30pm? Warm weather? Road trips? I absolutely love each and every one of those things and of course the food! Not only am I looking forward to summer barbecues camping trips full of s’mores, and many trips to the frozen yogurt shop and local sno cone hut; but I am giddy about all the summer produce. It has been a thrill the past few weeks watching various summer produce emerge at the local farmer’s market! Boatloads of berries (strawberries, blueberries, blackberries, raspberries, boysenberries), mountains of melons (watermelon, honeydew melon, cantaloupe), and a plethora of peaches, plums, nectarines and cherries! I am beyond thrilled to get my hands on some summer fruit! Typically I enjoy ‘nature’s candy,’ straight up, au naturel, just fresh and juicy! But every once in awhile I like to trash dress it up a bit! Throw some fresh fruit into smoothies, add it to my oatmeal, bake it up or cover it in a sauce. 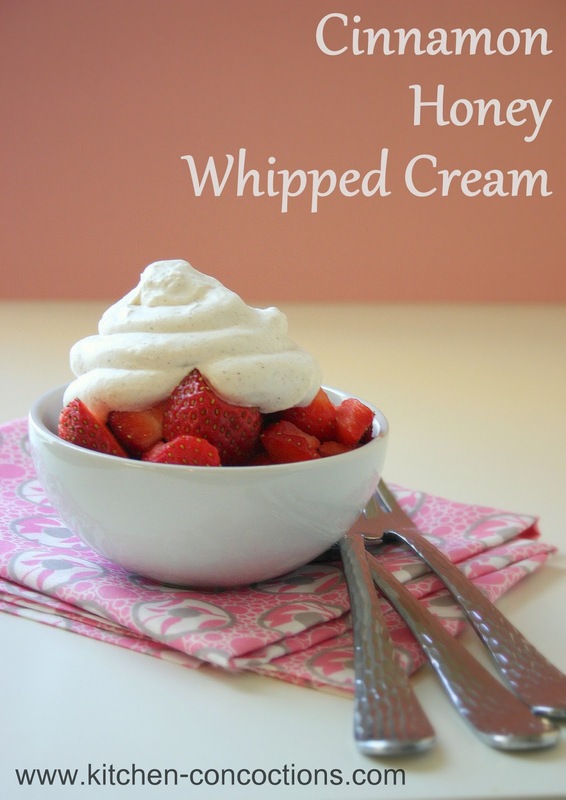 Or top it with creamy, dreamy, fluffy homemade whipped cream! For some reason, making homemade whipped cream intimidates a lot of people. But the truth is, homemade whipped cream is so incredibly easy and absolutely satisfying. This version, Cinnamon Honey Whipped Cream, has no added sugar and has the perfect hint of spice to compliment all that fresh summer fruit! Chill a large metal or glass bowl and whisk in the freezer for 15 minutes. Once bowl is chilled, add heavy cream to bowl. Using a large hand held whisk or an electric mixer, whip until cream begins to thicken. Add in vanilla, cinnamon and honey. 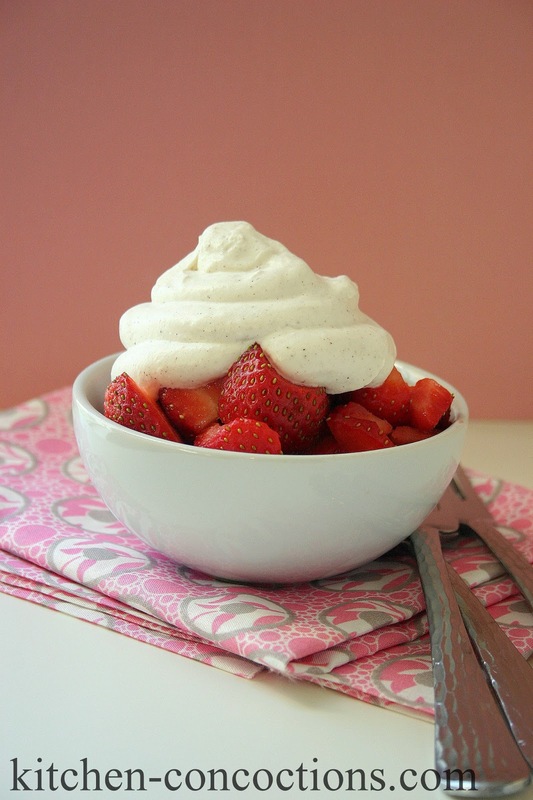 Continue to whip cream until soft peaks begin to form. Use caution and do not over mix! Can be served, as desired, immediately; or can be covered and refrigerated for up to two hours. *Baking Tip: When making homemade whipped cream, chill bowl and whisk in freezer for 15 minutes prior to whipping. This will help achieve light, fluffy whipped cream in mere minutes! I want some of this right now – it sounds amazing!! And I'm so excited for everything summer, too. I just made this and it is absolutely delicious! Thanks for sharing!